Better business tips, industry insider news, exclusive company updates. 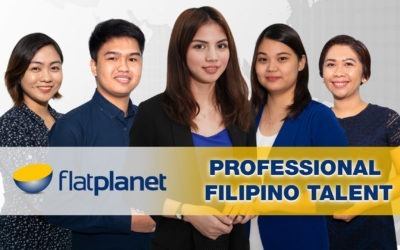 Get the best IT team you can afford with Flat Planet’s fully-operational center in the Silicon Valley of Asia — Ho Chi Minh City, Vietnam. Fact is, scaling a growing business takes a lot of hard work. You probably started out by wearing many different hats — sales, operations, legal, etc. If you’re struggling to get your business to the next level, here’s a solution you can explore. If you are, then you should start with building the best team to help you do it. Let us take that burden off of your hands — explore the different ways Flat Planet can give you access to the best Southeast Asian talents. Do you believe building a better business starts with assembling the best high-value talents you can find? Your people can make or break you. 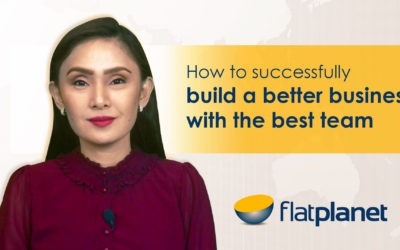 Watch this week’s video and hear how we can help you build the best team, with the best talents, for the best business results. Take Your Business to the Next Level: Let’s get your site to the top of Google! Now that most (if not all) businesses have online presence, how can you get your business’ website to rank higher on Google and stand out from the crowd? Is your company ready for sustainable and cost-effective growth? Business growth is exciting! However, to truly sustain that, companies often see the need to expand their team. Is your business ready for growth? 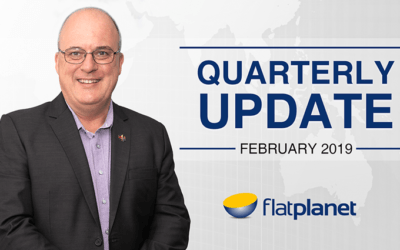 As a valued client of Flat Planet, I wanted to take the time to get in touch, thank you for your business, and talk a bit about all that’s new and upcoming from our end. This is my first update of the year so I’d like to let you in on all the exciting business changes we’ve made, and are making, this 2019. Want to grow your business while saving money? Consider Asia. What is the smartest business decision you can make? Business leaders know: spending isn’t a bad move. — Investing them on the right things, that what matters. After all, don’t they say you should make your money work for you? This Valentine’s week we’re taking a playful spin on hiring woes. But you and I know they’re not to be taken lightly. Finding the right — and the best — team for your business is vital to your success. Want to know how? 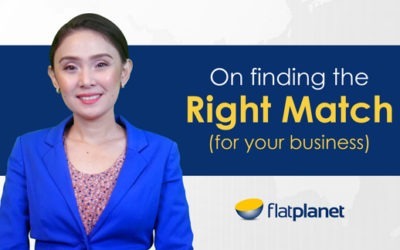 Established in 2010, Flat Planet™ is a family-owned, Australian-operated firm run by Chris & Jenny Moriarty giving businesses safe, sustainable, and personalized way to access Southeast Asian talent and markets. We build, accommodate and manage teams of professionals on behalf of successful businesses from all over the world.